What made you want to write and were you inspired by anyone? You won’t believe this, but, when I was young, my mother would not let me read because it would send me blind. Yes, blind. Naturally, I became obsessed and found cousins who would smuggle me their Boy’s Own books and I loved them. When I was 12 in high school, I discovered the magic in all kinds of books. I was especially influenced by Robert Louis Stephenson and books like Treasure Island. This really sparked the urge to write stories. By the time I left school, my main influence was Ernest Hemingway and, in particular, his masterpiece, The Old Man and the Sea. Short, spare, beautiful writing. The urge to write evolved into a passion for clear, simple writing, and I read everything I could get my hands on. This led me to some great how-to writing books, like The Art of Plain Talk by Rudolf Flesch. A move from business to newspaper and magazine journalism when I was 35 gave me the opportunity to write at last and cemented a passion for clear, concise writing. Later, I discovered Herman Hesse and Siddhartha. So lucid, so lyrical – almost Biblical beauty. How inspiring. Hesse showed me I have yet to reach my best, and he showed me the way – if I’m good enough. What encouragement did you have, and have you taken any courses in writing? I received anything but encouragement for many years. My father laughed at me and ridiculed my dream. I wrote a short story for an afternoon newspaper when I was 14 and it was rejected. I was stunned and devastated. We had little money, so I had to start work at 16, after completing the Leaving Certificate in high school. I could not see how I could make a living by writing. I did apply for cadet journalist jobs at major newspapers, but was rejected because, at that time (1956), I was over-qualified. Really. Hard to believe now. I completed an accounting course and started a business career and did accomplish things that still make me proud, but my dream was to write and I took evening and short courses in creative writing, copywriting, editing, creative non-fiction (then in its infancy), journalism and similar courses. I couldn’t learn enough. My beautiful wife (who has been with me now for more than half a century) encouraged me to write for myself. I started a monthly local magazine, which I wrote and published for five years with her help. In that five years, I also started two other regional and three national magazines, plus a printing and publishing business. Then I had a heart attack. Convalescing, I became angry with myself and determined to keep writing. I wrote a letter to the biggest local newspaper. They only had a job as a C Grade reporter and I talked them into giving me a go. They knew my age and they knew I’d had a heart attack, so I had to find a way to get their attention. I came up with a list of nearly 300 stories they had either handled poorly or not at all. Within two weeks, I became an A Grade journo and in less than two years a sub-editor and on to editor, editor-in-chief and managing editor for a major newspaper group. Through hard work (if you can call what you love “work”), my journalism, editing and publishing career gave me some wonderful years. I did receive quite a few state and national awards for journalism, editing and publishing, but I was never really interested in awards. My reward always came with good writing that resulted in something good for the local or national community. That’s what got me up in the morning. I now write almost exclusively creative non-fiction because there is always that element to my writing that it has to be useful, it has to help someone. The creative side of it allows me to use fiction techniques to tell the non-fiction story and make it memorable. 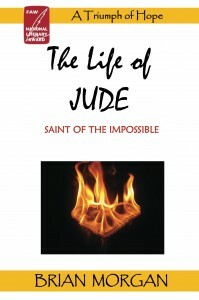 My major work, The Life of Jude, won a national literary award (the only award I ever entered myself). It was creative non-fiction, but my American agent at the time and the award judges couldn’t get their heads around that and called it fiction. So you could say I have a fiction book. Bit of a hoot, really. I have eight books in print, plus more eBooks – and I’ve published books for others. Nearly 20 years ago, I wrote an essay and an epic poem for the Korean Prize and I’ve written other poetry. I’ve never attempted to have any poetry published. All my poetry is free verse. I couldn’t rhyme to save my life. I do think my poetry collection, plus what I have rattling around in my head, would make good reading in a book for the few who like poetry – and I am thinking about it. Poetry, for me, has to be beautiful to the ear, but also be meaningful and have a purpose. What was your first publication? My first publication was my own monthly magazine for my local area. It was a massive learning curve in the days of cut and paste. No technology, no pagination software. I wrote it all (30,000 words), did all the prepress (in my garage), had it printed and did the distribution to outlets myself. I also had to sell the advertising (God help me) after my advertising man quit in the week before publication to go to a new newspaper opening up – and took all my advertising with him. If I had any sense, of course, I’d have quit myself, but I’ve never had much sense and my wife was with me all the way – and not just with encouragement. Judy was never afraid of hard work. I remember sitting in the main street of my hometown watching the newsagent across the road to see if people were picking up my magazine. Suddenly, a thought struck me (that doesn’t happen often, either). I didn’t have time for this sitting around. I had to write the next issue. I was exhausted, out of ideas and the show had to go on – relentlessly. 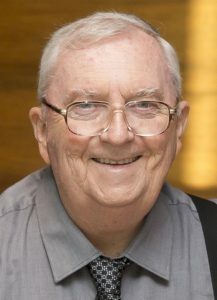 Over the years, I’ve written for many newspapers and magazines, including the Sydney Morning Herald, other Fairfax newspapers around the country who have picked up my stories, Sydney magazine, Entrepreneur magazine, Time magazine, Hers magazine, Help Yourself magazine, The Bulletin magazine, Brainstorm magazine and others. I’ve outlived a lot of them. My first book was The Legend of the Christmas Prayer, a small, colorful hardback illustrated by Sergio Martinez for Thomas Nelson (J. Countryman). It became a sell-out best-selling gift book in the US, the UK and Japan (Japanese edition). 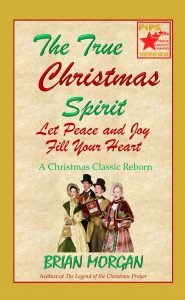 I obtained the rights back when people still wanted it every year and self-published it and other stories under another title (The True Christmas Spirit: Let Peace and Joy Fill your Heart). It still sells every year. People like to buy it as gifts for family and friends. Did you self-publish or use a publishing house? My first book was published by a traditional publishing house (Thomas Nelson), but I ran into a few problems. One of the problems was that I had worked hard to find an agent in America (tough to do from Australia), and she was a very good agent and a beautiful person. Unfortunately, she passed on before she could handle my other books. I was back to square one. It had taken me years to find my agent and, frankly, I couldn’t bear going through that again. Fortunately, self-publishing had arrived. I think it was created with me in mind. I took to it like a boy to a frog pond. I now publish only independently and love it. I love the control I have. With traditional publishing, the author, unless he or she is a big name writer or celebrity, has virtually no control. Even the big names have limited control. The agent handles sales to publishers and works on the contract, the publisher works to whatever schedule suits them, decide what the book will look like, how many will be printed, where it will be distributed, how much it will sell for… and on and on. The self-publisher controls everything – print or eBook, POD printing company, price, paper, color or black and white interior, cover, where to distribute (with limitations), how to promote the book – everything. There are advantages and disadvantages to both forms of publishing, too many to list here. I recommend that writers join LinkedIn and join some of the writer’s groups. Here questions can be answered by members and valuable information is there every day. Ah, how long is the proverbial piece of string? It depends on many things, including the length of the book, how much research is needed, how difficult the book is to write, how much time I can allocate to writing, how well I am at the time, how well I can focus on writing, how well I can control things that disrupt the writing process, what family and community obligations I have. My first book, the one that became a best-seller internationally, I wrote in two evenings and typed it out on plain paper for family and a group of friends one Christmas. We had been through quite an ordeal together and I wrote from the heart. It just flowed out. My major work took 50 years of part-time research. Yes, really. After 30 years, I lost all my notes in a house move and had to start again. Fortunately, I had my wife with her bullwhip offering encouragement. OK, she doesn’t really have a bullwhip. I loved writing that book. A personal development and business book took about five years, but a lot of research was involved and I was working on other projects at the time. 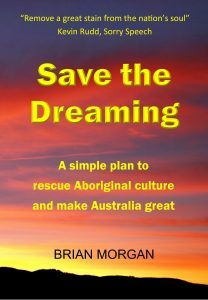 My last book, Save the Dreaming, about a plan to bring justice to Australia’s Aboriginal people, took one year to research, write, publish and heavily promote. But it had been on my mind for 60 years, following a special request from my grandmother. In that time, I knew I’d write a book, but I could not work out how to do it, how to approach the subject. In that 60 years, I had been building up considerable knowledge of the subject, so the one year had the benefit of a lot of preparatory work. Again, the writing just flowed. I was “in the zone” from start to finish. I mentioned health. I’ve been formally classified as disabled for about 20 years. I eat, sleep, research, write and edit in my recliner chair (I’m unable to lie on a bed). So, for me, health is a biggie and I have to work around it. We all have to work around our circumstances the best way we can. The main thing is to keep working whenever possible and, above all, keep that pen moving or keyboard clacking. How many words does your book usually contain? That also varies according to the type of book and the subject matter. My books are an eclectic lot. The objective is to write the number of words your story needs, no more, no less. But even that has a lot of “What ifs” in it. A romance publisher, for example, might require 60,000 words to fit their publishing program and pricing. I mentioned The Old Man and the Sea, the book that earned Hemingway the Nobel Prize for Literature. This is a slight exaggeration, but that short book has every word needed and no other. Having assessed many books in the last decade or so, I think a major problem for authors is that they love their own words – and they keep spitting them out. So many books can be cut and would be better for it. I’ve just edited a book for a friend and I cut 25,000 words and we both agree he has a better book for it (and he couldn’t tell where I had cut). This is just between you and me – I wouldn’t want it to get out – but when I was a newspaper and magazine editor, the cheeky journos called me Slasher Morgan. I thought this was great and decided to use it to instill fear and dread in later groups of journalists in my care. It didn’t work. So, my books range from about 8,000 words (for a gift book) to about 120,000 for my major work – whatever the book needed. Anything beyond that would make readers grow old just reading it. That major work had a first draft of more than 350,000 words, so I had to call in Slasher Morgan. In newspapers, I learned that you used only enough words to keep the reader interested. That still applies, but we now have additional restraints. In the age of the internet and smartphones and computer games, attention spans are growing shorter. Epics will no longer be purchased in sufficient numbers for publishers to spend the money on printing. Sentences have to be shorter, paragraphs have to be shorter, books have to be shorter. Well, I learned one trick when I started writing long-length work and now I have a better one. The first was to take a break and not stress about the writing. I would turn my attention to something related to the book. For example, I might work on the graphics for the cover or for possible internal graphics. I might work on publicity material for the book – like Amazon blurbs or back cover blurbs. Something related and preferably graphical to give my old brain a change of scenery, while still being able to say I was working on the book. But, here is how I eliminated writer’s block altogether. I stop writing every day before I want to stop. I don’t care whether the words are flowing like Niagara or if I’m deep in the zone where I’m churning out the best words ever written in the English language, I stop before I want to. It takes discipline, but so does life. I stop and I quickly jot down brief notes about what comes next. When a new day dawns, I don’t pick up the pen, I read what I wrote yesterday or in the last couple of days to get the mood of it, to feel it as I felt it then. Then I write. This has never failed me because I know what I have to write and how to write it. Did you give up the day job to be able to write? Yes, I did. I was the head of a Credit Union in Australia and I realized that the savings of members were not always protected, depending on which credit union it was. I harassed our Finance Minister and had rules changed to protect all credit union members as if they were bank customers. To cut a long story short, this involved some credit unions closing and refunding savings to members and other credit unions amalgamating. My own operation had to fold and, just 12 months after starting the job, I was out of work. Enter my wife. She said it was about time I did something for myself and it didn’t take much persuasion. In a few months, I had written and published my first magazine. Will you ever retire from writing? No. I’m having increasing difficulty writing. A mini-stroke a couple of years ago left me with some form of dyslexia, and I already had a filial tremor, which is pretty severe now. I can’t hand-write these days, and that was how I loved to write. Now I’m on the keyboard and I keep hitting the wrong keys and double-clicking. Writing a piece the length of this interview takes days of work, writing, correcting and correcting again. BUT… I will write until they can’t prop me up anymore. However, I will change the way I write and what I write. Who said you can’t teach an old dog new tricks? I’m on my 78th orbit of the sun and I had thought that, one day, when I’m old, I’ll retire to a life of reflection, contemplation and poetry. God knows when that will be, because I don’t. One day. I will, however, be unlikely to write another long-length project. Give me a little leeway on that, because, you know how it is – an idea comes along and the bloody thing won’t leave you alone until you get the words out. But I am focussing more and more on short length – short stories and free verse poetry, both of which can make it into books. How can we buy your books? My books are all available on Amazon (print books), Kindle (eBooks) and Smashwords (eBooks). Smashwords takes my interior file copy and turns it into various formats for different reading devices and distributes them to a range of online stores and libraries. 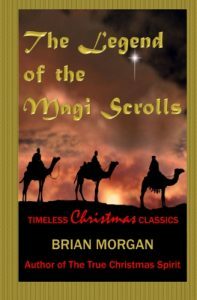 I have eight print books and more eBooks on the market at the moment, so the best way for readers to find the books is to go to my website at www.brianmorganbooks.com. Here you’ll find a brief description of each book plus reviews. For each book, there is a link to the Amazon or Kindle or Smashwords page for that book (which all have more blurb), plus a way for Australian readers to buy books a bit cheaper than paying exchange rates and delivery costs from Amazon. I am on Facebook and LinkedIn as well, if readers or other writers would like to keep in touch – and I would welcome that. How did you find out about The Writers Newsletter and has it been of interest to you? I’m sorry, I can’t recall how I heard about the newsletter. It was online, probably on Facebook or LinkedIn. Yes, I love both newsletters and have contributed a couple of articles. I just wish they were about when I was starting out and needed somewhere friendly to try out my writing. I have an 11-year-old granddaughter who wants to be a writer and I’m hoping to introduce her to The Young Writers Newsletter. I have promised the editor two articles for The Young Writers Newsletter, one about traditional publishing and the other about self-publishing. No, I have not forgotten. I’ve just been flat out, as they say in Australia, like a lizard drinking. I might be able to make both articles suit both newsletters with a bit of fiddling. You could return to the About Us page. You could visit the Home page. Or you could visit the Published Books page.